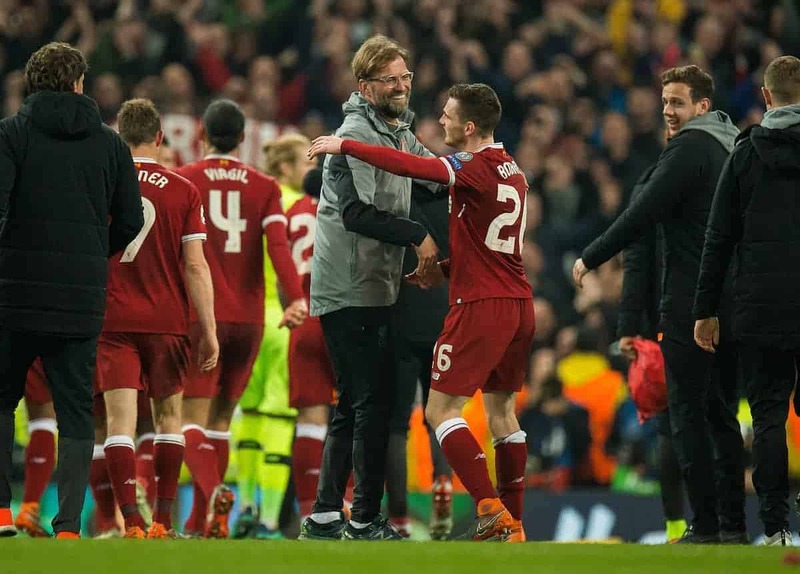 Andrew Robertson says qualifying for the Champions League semi-finals with Liverpool is the greatest achievement of his blossoming career. Robertson has enjoyed an outstanding first season with the Reds, going from lukewarm arrival to fan favourite in no time at all. In fact, there is a strong argument to say that only Mohamed Salah and Roberto Firmino have outperformed the left-back in 2017/18, after such a consistent run of excellent performances. 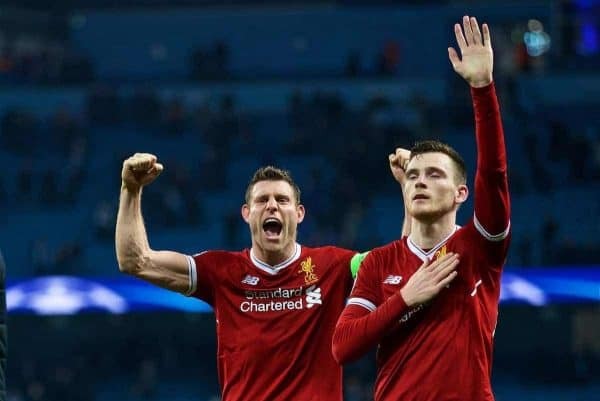 The Scot was again immaculate against Man City on Tuesday evening, performing doggedly throughout and helping Liverpool win 2-1 on the night, and 5-1 on aggregate. “Getting to the semi-finals of the Champions League as a wee boy you grow up watching these tournaments and you think what it’s like to play in it. “We’ve just knocked out one of the best teams in Europe at the moment. Luckily we’ve managed to do that and we are in the semi-final. “The first half was tough going. We knew they were going to come out attacking and we had to ride our luck. “A couple of their chances could have gone in and if it did it could have been a different day, but we knew we couldn’t play worse than that. “We defended quite well but we had to get the ball down and play our own game, and in the second half we managed to do that. The former Hull City man has been one of the signings of the season in England, and he played like a seasoned professional against a fantastic City side. He has come straight in and looked like he belongs at Liverpool, and the future promises so much with him in the side. While many were clamouring for the Reds to sign a more high-profile full-back last summer, Jurgen Klopp saw that there was a gem of a player strutting his stuff in east Yorkshire.